Product may vary from image. Rely only on description for purchasing decisions. The most popular PC in our legendary ThinkPad product line, the ThinkPad T430 is durable, secure, portable, and packed with features to enhance productivity. From its ultra-long battery life to its advanced wireless technology, the T430 helps you take your business to the next level. 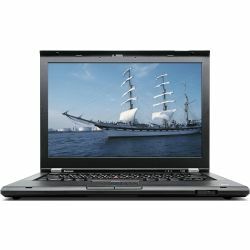 Whether you're travelling around the world or commuting between offices, at just 4.77 lbs, the T430 won't weigh you down. The T430 meets eight rugged military-spec tests against extreme environmental variables, including temperature, pressure, dust, humidity, and vibration testing. Premium durability standards and the Active Protection System&trade; provide a rock-solid machine. The new precision island keyboard with improved ergonomic design and optional backlight is the best ThinkPad keyboard yet. Whether you choose integrated Intel&reg; HD Graphics or discrete graphics featuring NVIDIA&reg; Optimus&trade; technology, you'll enjoy stunning visuals on the T430. Move data between the T430 and other devices quickly with USB 3.0 &mdash; it's up to 10 times faster than previous USB technologies. Combine a 9-cell battery with a slice battery to enjoy up to 30 hours of productive work between charges. Wherever you are you will be able to get connected with a complete suite of wireless technology &mdash; and Lenovo Mobile Access means you don't need an expensive contract. Crystal clear video and audio, face tracking and keystroke noise suppression technology will help you web conference or chat like you're really there. HD and HD+ display options deliver bright, crisp visuals on the T430 &mdash; even when looked at from a wide angle. Enjoy an immersive surround sound experience whether listening to a presentation or kicking back with a movie. With easy to use, practical, and secure software solutions including Password Manager, Rescue and Recovery, and Access Connections&trade;, Lenovo has got you covered. 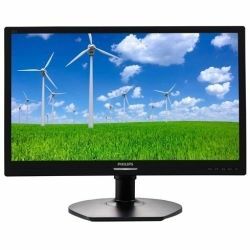 720p (1280x720) also called widescreen, is a display resolution is used for general use, media consumption for many types of displays including televisions, laptops and computer monitors. Perfect for general tasks including multi-tasking, networking, streaming media content and presentations. Get more of what you love with a new Windows PC. More speed, more security, more of what you need to get things done. Enjoy the latest Windows 10 features and included ongoing security. Why pay more for new when you can go refurbished and save? With savings of up to 70% on Laptops, Desktops, Servers, Networking and even Apple you would be crazy to think twice. With no significant advances in computer technology in the last 3-5 years there’s never been a better time to save by buying refurbished. All refurbished units we sell are rigorously tested and cleaned to ensure they are in A-Grade condition and are ready to use straight out of the box. Although some units may have some minor cosmetic blemishes and imperfections such as minor scratches or other minor surface imperfections they have all been tested and are guaranteed to work like new. We stand by our products and back any refurbished equipment we sell with a 12-Month Warranty (unless otherwise specified). 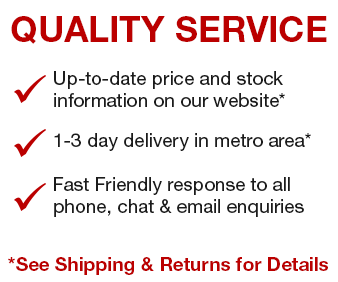 Our warranty covers any hardware faults that may arise within this period. We also offer extended and on-site warranties for all refurbished equipment at an additional cost. Enquire with our staff for details and options. All refurbished units we sell are from the tough commercial grade product lines from the leading manufacturers including Dell, HP and Lenovo. When sold new these units have premium pricing reflectively of their superior build quality. Most refurbished units we sell come from large enterprise and government departments and have had a good life and have been well looked after. Due to this, the longevity of a refurbished commercial units is often higher than that of consumer grade equipment. All our refurbished products undergo a rigorous quality assurance procedure. This involves the units being wiped of sensitive data, tested, cleaned and re- installed with a fresh genuine copy of the operating system to match the attached Microsoft Certificate of Authenticity (COA). This ensures that the unit you receive is ready to plug in, turn on and use straight out of the box. We are a Microsoft Registered Refurbisher so you can have peace of mind that any refurbished unit you purchase from us will meet your expectations and be up to the task.